myinvoice is Air BP’s electronic invoicing system. With myinvoice Air BP customers can manage their Air BP invoices 24/7 from anywhere in the world. Having been involved in the launch of Air BP’s previous digital invoicing tool, we were tasked with communicating the move over to myinvoice – Air BP’s new system. Explainer animations were created to help customers understand the new system, explain the benefits and encourage sign-up. 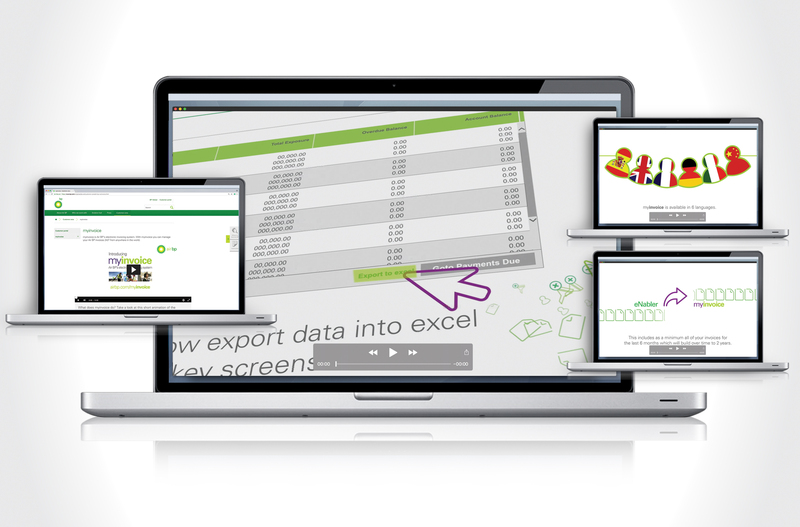 Features and functionality were explained through a series of ‘how-to’ videos, animating myinvoice functionality. These animations were accessible via the Air BP website and via links from emailed communications. The campaign was translated into 5 additional languages.